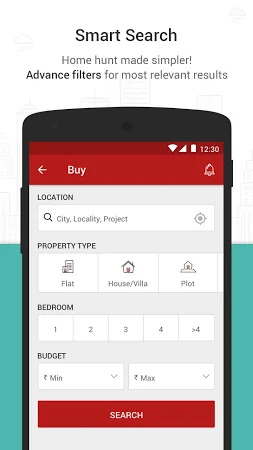 Magicbricks is one of the leading real estate apps in India. We bring you the most intuitive property search app experience in India. 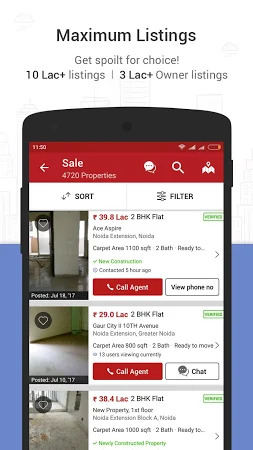 Whether you are looking for a home on rent or sale, our app leaves no stone unturned to offer the most relevant options for flats for sale, houses on sale and plots for sale. 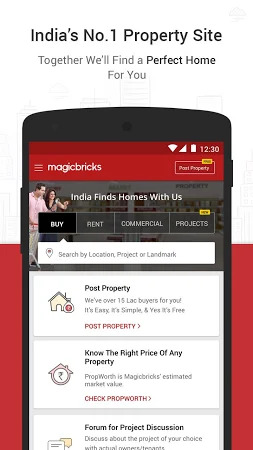 Magicbricks Property Search & Real Estate App is created by MagicBricks Reality Services Ltd and its category is Business. Over 5M users installed the tool and its most recent update was launched on Mar 27, 2019. The overall score for this application is 4.4 on Google Play. The app is often downloaded by Samsung and Micromax users. 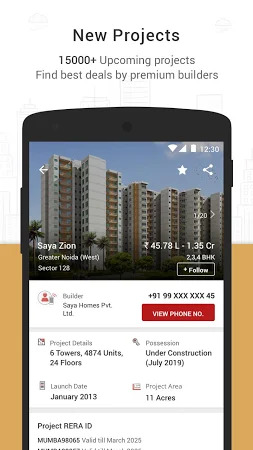 A free .apk file of Magicbricks Property Search & Real Estate App 8.9.9 can be downloaded from Droid Informer and you can have a look at users' reviews on this site. Prepare 10 MB of free space on your device for this app setup package and keep in mind that it runs on Android 4.3 and above. The antivirus report demonstrates that the app is completely safe. As users mention, you can benefit from the strong sides of this application which are a great user interface and a good price. Some users say that you can find such a drawback of the tool as poor support. Find your perfect home on Housing. We are glad that our signature product Trends and Analysis has made it to Android! Do you offer an accommodation? Do you manage a small hotel? Easily calculate your mortgage payment or refinance savings. Get access to digitized project sales kit. View consolidated inventory status. It makes calculating commercial real estate rent schedules easy. Amar Prakaash Developerss Pvt. Ltd. Mobile Application. It is the most intuitive inspection checklist app on the App Store. 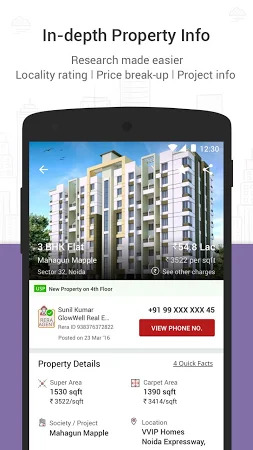 Smart Diary is an application by MagicBricks.